Are you paying more in credit card interest than seems fair? Ask the credit card company to give you a lower interest rate, and you'll probably get it. Pick up the phone, and find out just how far they're willing to go to keep your business. Contact customer service at the issuing bank. You'll find the number on the back of your credit card and on your statement. Identify yourself, and tell the customer service rep that you'd like a lower interest rate. If you always pay on time, have a high credit score or are a long-time cardholder, now's the time to mention those things. Also mention any low-interest credit card offers that you've received in the mail from competing banks. If the rep agrees to lower your interest rate, thank him or her. Then, get all of the details about your new rate. Is this a short-term promotional offer or your new annual percentage rate (APR)? Will the new rate go into effect immediately? If the rep denies your request, emphasize that you will be forced to take your business to another bank, if they aren't able to compete with the other offers that you've received. Still not making any progress? Then, ask to speak to a supervisor, and state your case again. If the answer is still no, hang up and try again another day. Often getting what you want is a simple matter of reaching the right customer service rep. Still being told no after numerous attempts? Now may be the time to make good on your threat to leave. 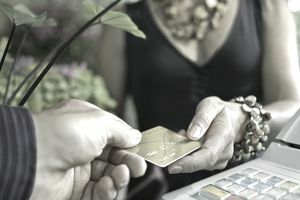 Take a closer look at the other credit card offers that you received, and determine if a balance transfer makes good financial sense for you. Be sure to scrutinize the terms of the offer (paying special attention to any transaction fees and the duration of any promotional rates). If a move still seems beneficial after reading through all the fine print, go ahead and transfer your balance to a new card. Use bankrate.com to keep up with the latest credit card interest rates and offers. You can negotiate your credit card interest rate more than once, so don't hesitate to ask for a better deal, if you see your rate going back up again. Use your lower interest rate to get out of debt faster. Keep in mind that, due to current credit scoring practices, it is usually best to keep old accounts open (even if you aren't using them). So, wipe out the balance on your current card; then, tuck it in a drawer where you won't be tempted to use it. Can You Talk Your Way Into a Smaller Medical Bill?